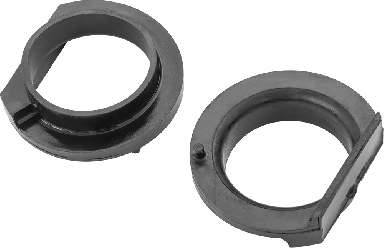 Correct the spring bow of your aftermarket performance suspension system front coil springs with this Rancho® Coil Spring Isolator for the 2018 Jeep® Wrangler JL. Some companies lifted front coil springs that utilize the factory isolator may flex resulting in a bow which could cause it to rub against the frame. Rancho’s JL Coil Spring Isolator corrects this issue. 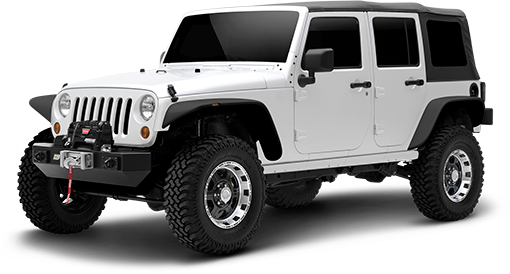 Rancho®’s Jeep® Wrangler JL corner-specific progressive rate Coil Springs are specifically tuned to provide superior on-road comfort and off-road performance. The corner-specific Springs ensure your Jeep JL maintains a perfectly level stance and ride – even during towing or heavy loading. 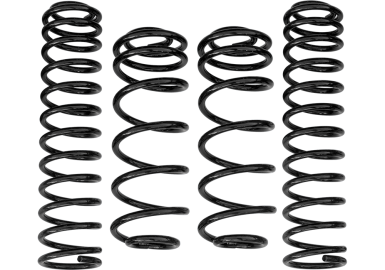 These Rancho JL Front Coil Springs provide up to 3.5-in. of lift height on a Rubicon and up to 4.5-in. of height on a Non-Rubicon. The addition of aftermarket bumpers, sliders, winches, etc. will net differences in lift height. 4 Door models only. Rancho®’s Jeep® Wrangler JL corner-specific progressive rate Coil Springs are specifically tuned to provide superior on-road comfort and off-road performance. 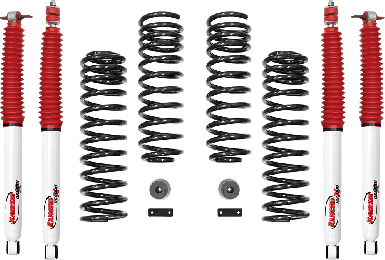 The corner-specific Springs ensure your Jeep JL maintains a perfectly level stance and ride – even during towing or heavy loading. These Rancho JL Front Coil Springs provide up to 3.5-in. of lift height on a Rubicon and up to 4.5-in. of height on a Non-Rubicon. 2 Door models, or the addition of aftermarket bumpers, sliders, winches, etc. will net differences in lift height.